Walrus researchers from the US Geological Survey have a new report on the history of walrus haulouts in the Chukchi and Bering Seas – yet their media efforts (via press release and interviews) fail to mention the relationship between fluctuating size of walrus haulouts and fluctuating walrus population size that is evident in that history. In fact, overall population size is not mentioned at all. But neither articles nor the new USGS paper they are touting (Fischback et al. 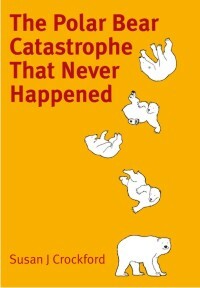 2016) mention the huge summer/fall haulouts of females, calves, and juveniles that were documented in the 1970s that coincided with the huge population size at that time, which crashed in the 1980s. Only now has the population grown (to at least 200,000) to the point that huge haulouts are again being reported – conservation has done it’s job. But when walrus numbers get too high the animals out-strip their food source and numbers plummet, as they did in the 1980s (Fay et al. 1989; Garlich-Miller et al. 2011). See my fully referenced summary paper, Crockford 2014 (On The Beach: Walrus Haulouts are Nothing New). Have polar bears suffered a contraction of their historical range due to recent declines in summer sea ice? Buried in a recent journal article lies such a claim, one I can’t recall having seen before. That makes it worth close examination. 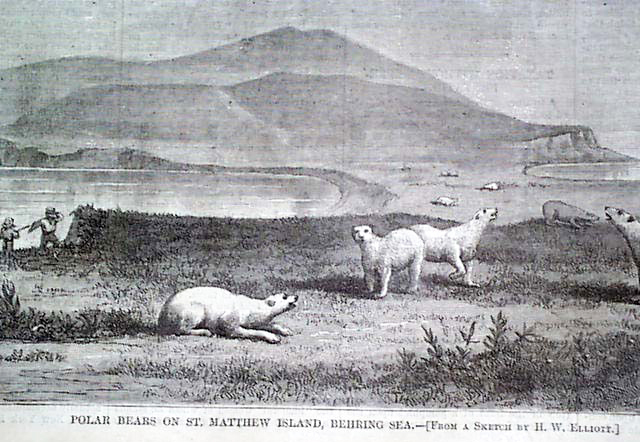 A drawing of polar bears on St. Matthew Island that accompanied the May 1, 1875 Harper’s Weekly Journal of Civilization article written by Henry Elliot. See here. 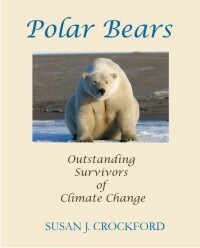 The assertion appears in the introduction of a recently published paper that got a lot of attention online (“Implications of the Circumpolar Genetic Structure of Polar Bears for Their Conservation in a Rapidly Warming Arctic” by Peacock and colleagues (2015), discussed previously here, news coverage here and here). I’ve written a briefing paper for the GWPF refuting claims that huge herds of Pacific walruses hauled out on land are a sign of global warming. London, 20 October: A briefing paper published today by the Global Warming Policy Foundation refutes claims that Arctic walruses are in distress and danger due to global warming. 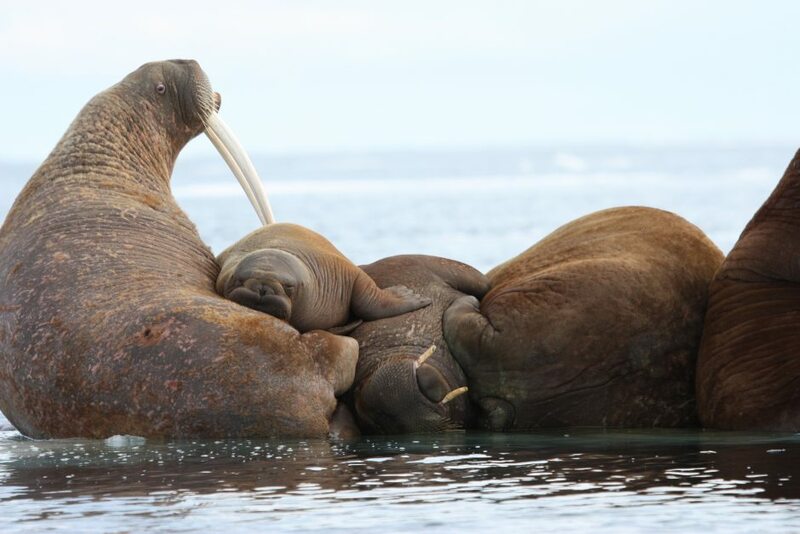 The paper, written by Canadian zoologist Dr Susan Crockford, assesses the recent mass haulouts of walrus females and calves on the beaches of Alaska and Russia bordering the Chukchi Sea. 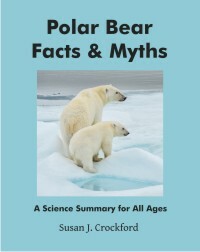 The events have been blamed by US government biologists and WWF activists on lack of summer sea ice, amplified into alarming scare stories by news media around the world. Such claims ignore previous haulouts that suggest a different cause. Scientific reports about large walrus haulouts that have occurred repeatedly over the last 45 years show that they are not new phenomena for this region. 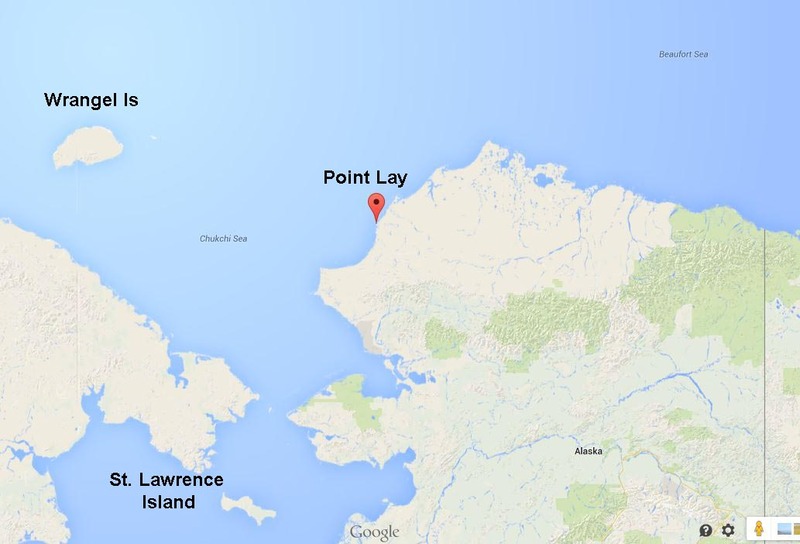 At least two documented incidents of similar magnitude have occurred in the recent past: one in 1978, on eastern St. Lawrence Island and the other in 1972, on the western end of Wrangel Island. The 1978 event involved an estimated total of almost 150,000 walrus hauled out within in a small geographic area. Moreover, sea ice maps for the months when known mass haulouts occurred, compared to years when they did not, suggest no strong correlation with low sea ice levels. 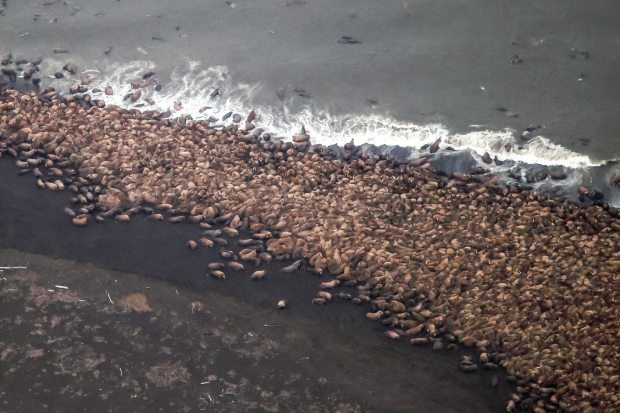 “The WWF and American walrus biologists have categorically linked the Point Lay mass haulout event to global warming, but available evidence suggests that’s alarmist nonsense,” Dr Crockford said. “Blaming lack of sea ice for recent events ignores the documented factor – large population size – that drove walruses onto beaches en masse in the past, when plenty of ice was available. Conservation measures have almost certainly led to a spectacular recovery of walrus numbers over the last few years. 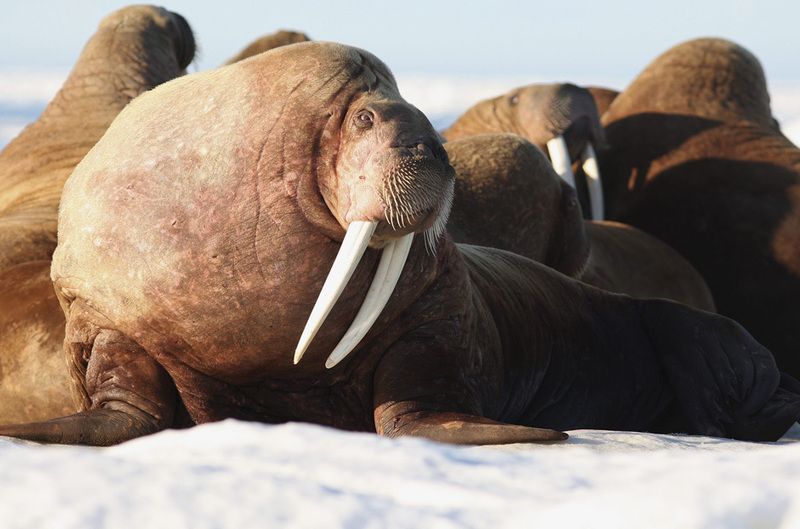 This suggests that recent mass haulouts are more an indicator that Chukchi walrus are nearing maximum capacity than a sign of impending global warming catastrophe,” Dr Crockford added. Walruses as polar bear prey and sea ice were on my mind last night and I remembered that we DO have detailed sea ice information for 1978 and 1972 – from the sea ice atlas put together by University of Alaska Fairbanks (UAF), which has ice concentration maps for Alaska going back to 1850 — and for every year up to 2013 (reported previously here). Chukchi Sea walrus, June 2014. US Fish and Wildlife Service. I’ve copied some of the ice maps below. This means it is more likely that food resources were the issue, not sea ice.